SHORTLISTED FOR THE COSTA BIOGRAPHY AWARD Mussolini was not only ruthless: he was subtle and manipulative. Black-shirted thugs did his dirty work for him: arson, murder, destruction of homes and offices, bribes and intimidation. His opponents - including editors, union representatives, lawyers and judges - were beaten into submission. But the tide turned in 1924 when his assassins went too far, horror spread across Italy, and antifascist resistance was born. 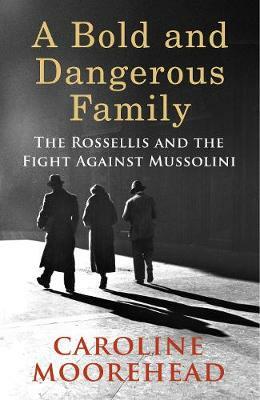 Among those whose disgust hardened into bold and uncompromising resistance was a family from Florence: Amelia, Carlo and Nello Rosselli. Caroline Moorehead draws readers into the lives of this remarkable family - their loves, their loyalties, their laughter and their ultimate sacrifice.